I am so incredibly honored when my photographs get published, but even more excited for my favorite couples to relive their wedding day, anniversary session, or special time in their lives. 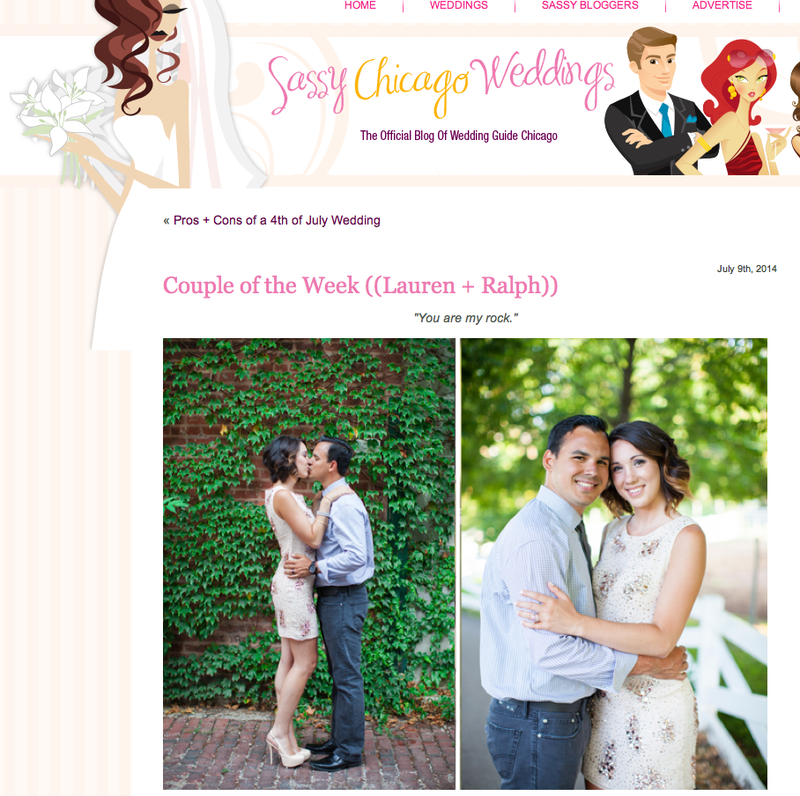 Today, I woke up to see our dear friends, Lauren and Ralph, featured on The Wedding Guide Chicago‘s Wedding Blog: Sassy Chicago Weddings as Couple of the Week! A little while back, I photographed this sweet couple’s 1 year Anniversary Session (on their actual 1 year anniversary) in Lincoln Park! Lauren sparkled in a gorgeous gold dress, and Ralph looked super dapper smiling at his Bride of one year. 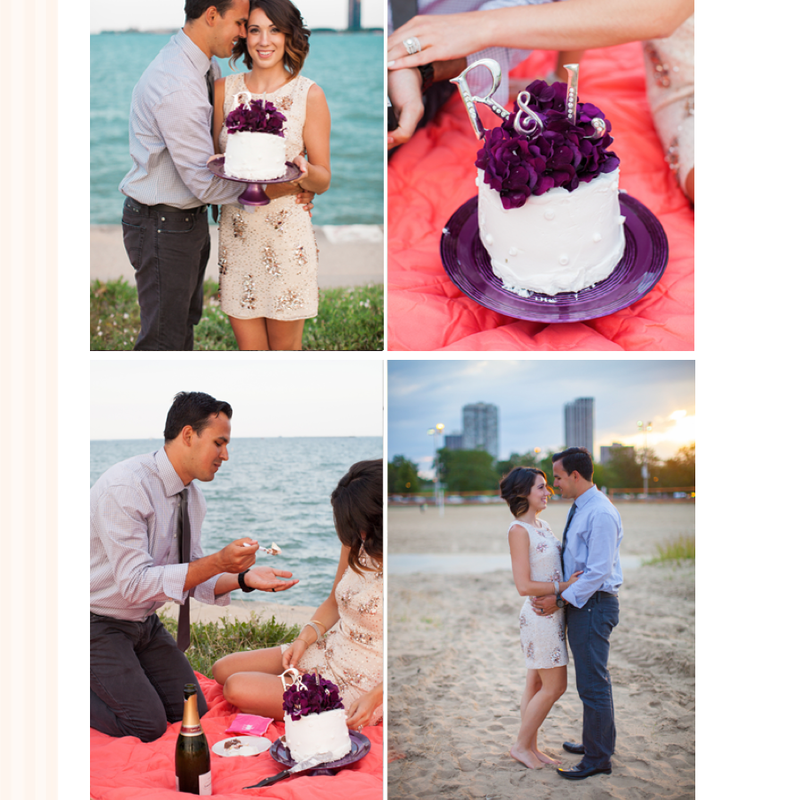 As the sun set in Lincoln Park, they toasted with their favorite bubbly and sweetly fed each other a slice of their Wedding Cake. The chocolate, vanilla marble cake filled with strawberry didn’t taste the same as it did on their wedding day, but they laughed it off remembering the sweetness of their day. Ralph, then took out fresh mini cupcakes from the picnic basket and they enjoyed those instead;) I’m guessing this is just one of the many reasons Lauren married Ralph! You can see their FEATURE here, and be sure to leave some love for this lovely pair who is still celebrating! Thank you for the FEATURE Wedding Guide Chicago!